Building and investing in platforms is not for everyone. It’s a challenging endeavor that can come with a lot of cost and often a long time to market. But a successful platform is well worth the risk. 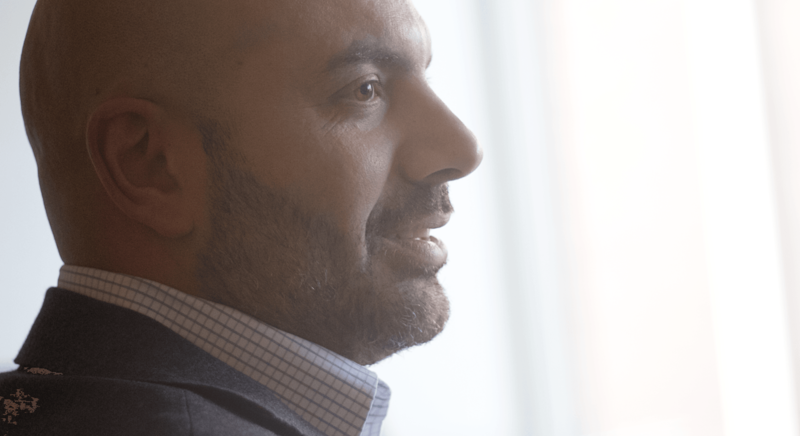 In a new blog post, Aspire CEO Essam Abadir recounts his past success with platforms, and explains why he’s continuing to build them. One of the most interesting pieces of advice I received came when I was raising money for my start-up, Appmobi, a mobile app development platform for "write once" apps that run on both iOS and Android. The advice came from a guy at Intel Capital who, although he declined to investment money into Appmobi, he eventually facilitated our sale of the platform to Intel—a life changing deal for me. The advice came years before the sale. We were gauging Intel Capital’s interest in investing in Appmobi. That guy—who eventually suggested buying our company, mind you—said he "hated platforms and that all investors really hate platforms." To understand why he said that, I first need to explain what a platform is. Unfortunately, the definition is pretty imprecise. "Platform" is often used interchangeably with "operating system," and the differences are subtle, and frequently shift. Probably the best way to think of a platform is as a kind of architecture that lets others build imaginative stuff on top of it. Similar to the way a municipality puts in roads, utilities like electrical and water, and provides services like police and firemen so that others can build homes, pizzerias, stadiums, and skyscrapers on top. I So if the municipal services are the platform then the think of the pizzerias and skyscrapers as apps. Intel’s dislike of platforms seems odd, considering it’s the ultimate platform business for building chips. But its dislike of platforms isn’t without reason. Platforms are incredibly expensive to build, as Intel should know. After all, making chips is essentially a platform business. A chip building facility, aka "fab", can take seven years and cost billions to develop, yet make no money until they roll out of the factory and into computers. And when several platforms compete in the same space, there are usually only one or two winners. How many mobile phone platforms can you think of besides Apple’s iOS and Android? How about Windows, Nokia, Blackberry? Entrepreneurs often dramatically underestimate how costly it is to build a platform. It can take hundreds of millions of dollars—if not billions of dollars—to establish an iOS or Android. Even worse, most revenues usually don’t come directly from the platform, but indirectly from things like iPhone sales or ads that people see on their Android phones. So you may wonder, why I am still trying to build a platform? We managed to sell a small cloud-based apps development platform once, and perhaps we were lucky, or perhaps we were good. But I realized I really love platforms. I love what you can do with platforms. I love the fact that the apps that were created to run on our platform were bigger than the platform itself. I love putting in the roads, electrical lines and sewers so that someone else could build a grand skyscraper. But most of all I want to invest in the apps that the platform will eventually enable—apps that will never come to be if we don’t build the platform. Even though I love being a municipality, you have to ask who invests in a municipality? Usually someone with a long term view that the platform can be a tide which lifts all boats, including their own. And maybe that's what we’re doing at Aspire.